OK, I know that looks weird. It’s upside down. But that’s how I drew it, per the book’s instructions. 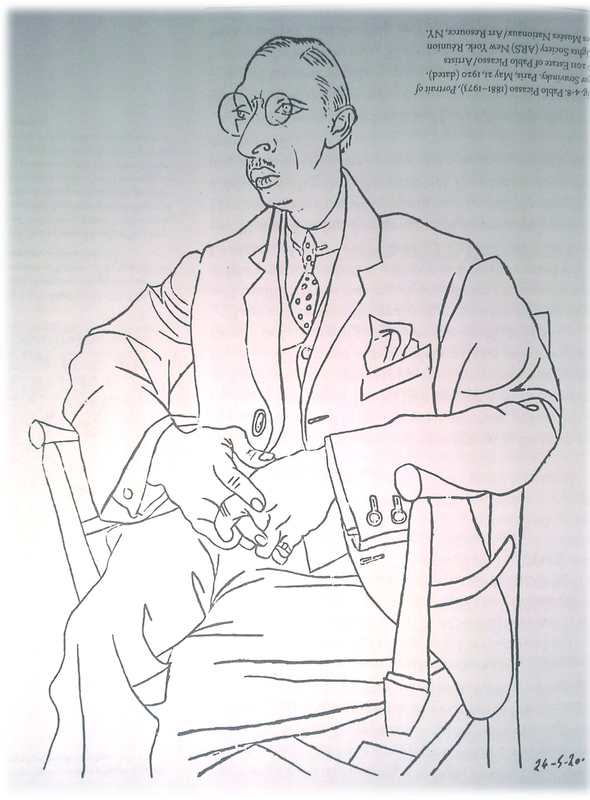 It’s a copy of this sketch of the composer Stravinsky by Picasso. Here’s mine again, right side up this time. Obviously, I’m no Picasso. But it’s the closest thing to an actual person that I’ve ever drawn in my life. Aside from the fact that I gave him a pinhead, he actually looks pretty good. And I’m reasonably certain I could never have drawn him this well right side up. Why? Well, the whole premise of the book is that our left brain, which excels at language, mathematics, and thinking logically, falls rather short when put to the task of creativity and estimating spacial relationships–in a word, drawing. Unfortunately, that pesky left brain, which is so used to being in charge of making sense of the world, sees a person and immediately begins to categorize it (him, in this case) into parts: eyes, hands, jacket buttons, etc. Making it hard to draw what we actually see, for which we instead substitute eyes as we think they look, along with hands, jacket buttons, and everything else. We have preconceived ideas of how things should look, which get in the way of seeing them as they actually look. And if you can’t see it, you can’t draw it. 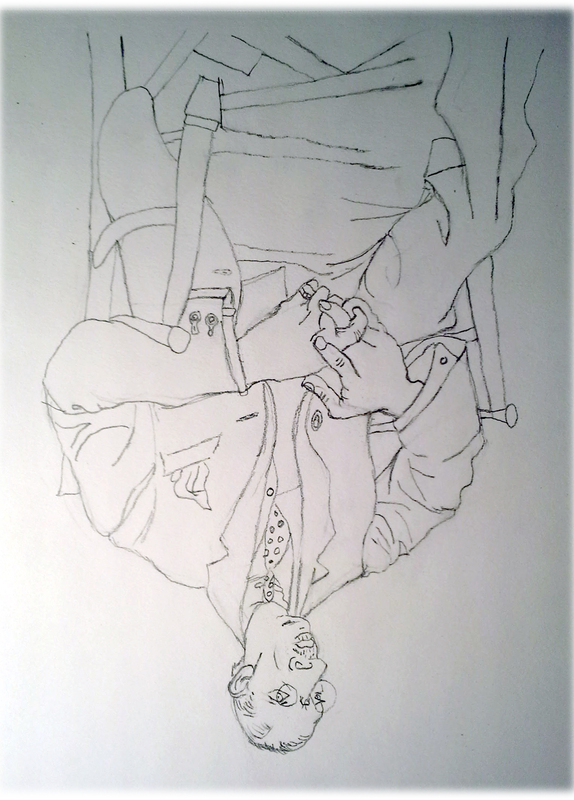 Hence the idea of drawing Stravinsky upside down. 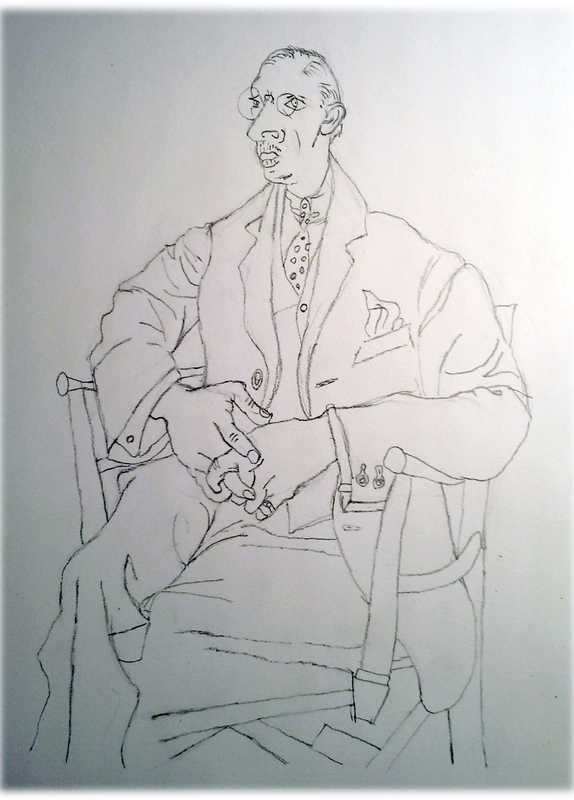 I started at the top of my drawing (so, the bottom of Stravinsky), and for the first half of the drawing it was very easy for me to not know what I was drawing, and simply gauge the correct relationship of all the lines to one another. The hands were hard, because it was almost impossible for me to not see them as hands, and I could feel myself drawing them wrong when I started thinking about what hands should look like rather than trying to draw Stravinsky’s hands exactly as they were. I realize that I’ve encountered this left brain/right brain battle before. I’ve been playing the piano ever since I was a little girl. My parents gave me a fairly thorough grounding in musical theory, and I can sight-read almost anything. But I am absolute rubbish at playing by ear. The only song I can do reasonably well without music is Happy Birthday, and that’s only because there’s such demand for it, and I’ve practiced a lot. Even so, I always have a moment of panic right before I start playing it, because I’ve got no music in front of me. Similarly, when I’m playing a piece I’ve played a hundred times and virtually know by heart, if I get caught up in the music and lose my place, as soon as I realize I’m not following along on the page, I get completely befuddled. It’s like a cartoon, where Wile E. Coyote can walk on air right up until he realizes he’s walking on air, and dramatically plunges to the ground. My left brain, you see, is utterly convinced that it’s impossible to play music without having it all written out on the page in front of you. Growing up, I had a friend who had learned to play the piano via the Suzuki method. She could play beautifully by ear, and it was like a sort of miracle to me. She couldn’t sight-read to save her life, though. 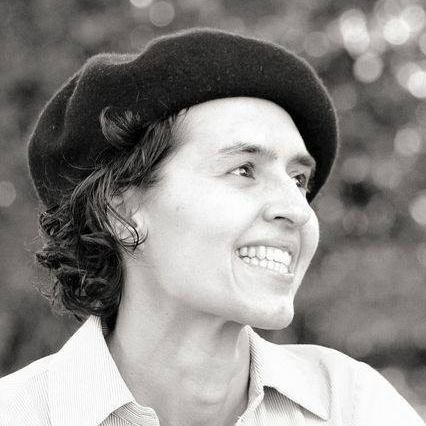 It was obvious that she’d learned to play in a much more right-brained fashion. The only other instrument I play is the folk harp, and I decided a few years ago that it was going to be my “right brain” instrument. I put my harp books away and concentrated on learning to play by ear. Amazingly, even though I’m a self-taught, rather amateur harpist, I’m ten times better at playing by ear on the harp than I am on the piano. If I learned to do it on the harp, I think I can learn to do it with a pencil and paper. Three cheers for the right brain! I love this post. Great job on your picture! !